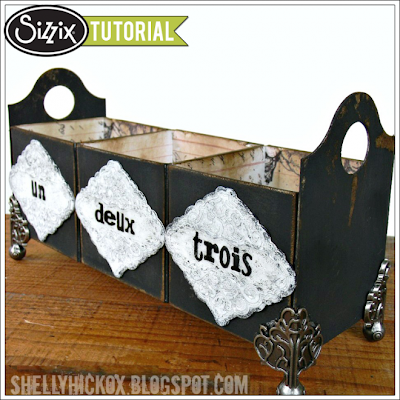 I love this DIY caddy made by Shelly Hickox at the Sizzix.com blog. Step by step photos are included on the blog, click here for the link. The amazingly talented Tammy Tutterow has a very well designed studio for proper work. Look at all those dies! 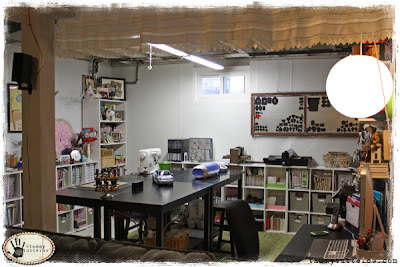 Tammy is part of the design team at Sizzix.com. And I absolutely love this spinner. Click here for far more photos and explanation. 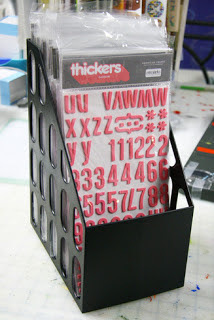 I posted earlier today a post on how Nupur had made a tutorial on how to make a DIY ink pad holder. Then i got a message from Nicole sharing her posts from three years ago. I am not implying that one copied the other, I know sometimes people come up with the exact same ideas without knowledge of each other, but since the dates are quite different I have reedited the post to include first Nicole's ideas. 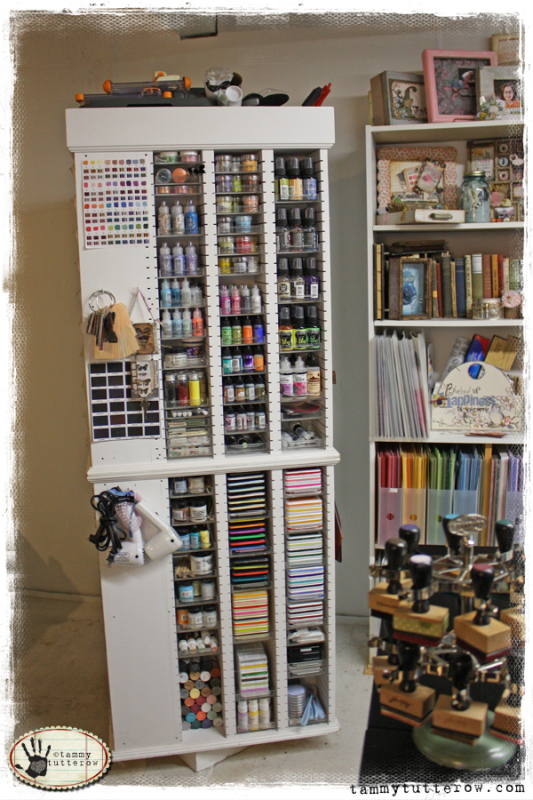 Nicole made a tutorial 3 years ago on how to make the distress ink pad holder. Click here for the blog post. 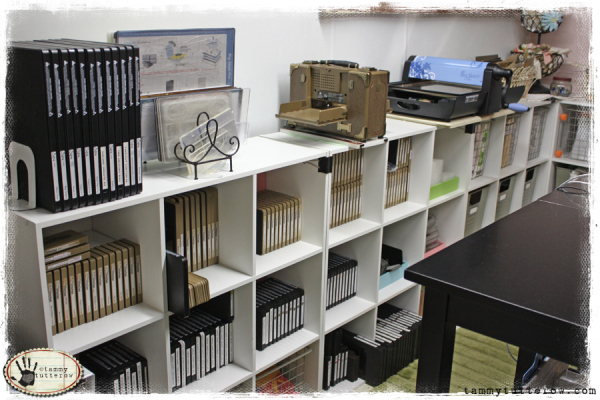 Now Nicole has improved the idea and the Stampin Up ink pad shelves looks like above (made of grey card board). Click here for the blog post. And a bigger one here. And this is Nupur's version. Click here for the step by step tutorial. Well I saw this idea on Pinterest from Sueli on how she stores her clear stamps. But I do think it would also work for Thickers. Using cardboard boxes and then make them all pretty.